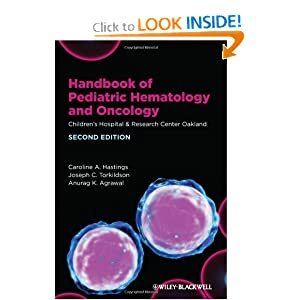 This new edition of Handbook of Pediatric Hematology and Oncology: Children's Hospital & Research Center Oakland features practical guidance on how to handle common inpatient and outpatient challenges seen in pediatric hematology and oncology. Designed as a rapid reference to the latest diagnostic and therapeutic protocols, the text is short and didactic and supplemented with practical algorithms and case studies throughout. Completely revised and updated, there are brand-new chapters on subjects including bone marrow transplantation, pain management and palliative care. Comprehensive, yet concise, the handbook presents essential guidelines on the diagnosis and management of the most common pediatric blood disorders and malignancies, in addition to chemotherapeutic drug information and transfusion protocols.